Martin Needham will be buried today followed by his friend Declan Davitt tomorrow. Martin Needham will be laid to rest near his home today. THE FIRST OF two funerals following the Christmas day tragedy in which two young men died in Mayo is to be held today. 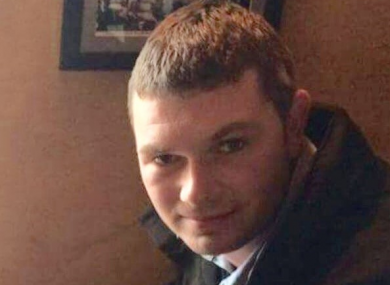 The funeral of Martin Needham (27) will take place at the Church of the Holy Family, Killeen at 11 am this morning followed by a burial in Killeen Old Cemetery. Needham died along with his friend Declan Davitt (26) when their 4×4 entered the water of the Carrownisky River near Louisburgh in the early hours of Christmas Day. It’s understood they were attempting to cross a stretch of the river that had become swollen after heavy rain. The deaths of the two young men has shocked the community with one local councillor saying that locals were “numbed by this tragedy”, occurring as it did at Christmas time. Today’s funeral will take place 24 hours ahead of that of Declan Davitt which will take place in the same church. Mourning the tragic loss of the Martin Needham will be his immediate family, parents Pat-Joe and Breege and his four sisters, as well as his extended family and friends. Local TD and Minister for Rural and Community Development Michael Ring also passed his condolences to both families in a statement yesterday. Email “First funeral to take place in Mayo today after after SUV was swept away on Christmas day”. Feedback on “First funeral to take place in Mayo today after after SUV was swept away on Christmas day”.